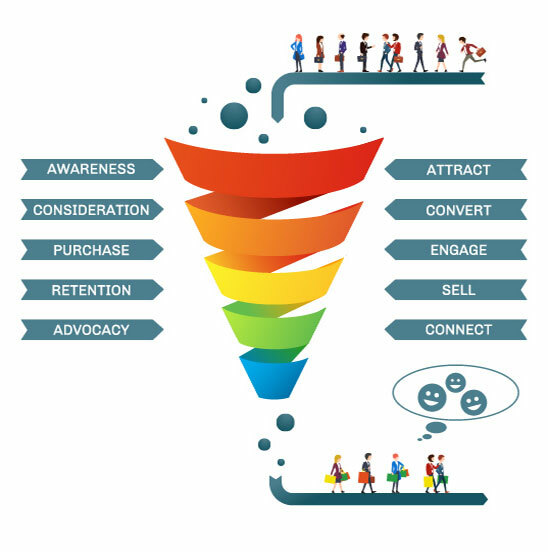 Understanding what your customers’ need to know at each stage of the buyer’s journey will improve your company alignment with what your customers value. This first step can be accomplished by Notable Evolutions’ Buyer Persona Development. Create messaging for each buyer persona communicating how your solutions help solve your customer needs for each stage of their buying journey. Conveying how your solutions address your customers’ business outcomes and challenges in a unique way is what will set you apart from your competition. Notable Evolution’s Market Requirements Definition and Messaging and Positioning Guides are two key solutions that build the foundation of your thought leadership. Which content assets do you use to target C-level audiences vs. others who influence the purchasing decision? Instead of investing money in misaligned content assets, your Buyer Personas should demonstrate how your buyers research information to address their needs. From here, your Content Marketing Strategy is built surrounding how best to reach your buyer personas and which messages your content should communicate.